DriveCrypt securely and easily protects all proprietary data on notebooks and desktop computers 100% of the time without users having to worry about security. Any organization, from a small company to a large international firm with thousands of users in the field, can effectively protect business plans, client lists, product specifications, confidential corporate memos, stock information, and much more with this product. 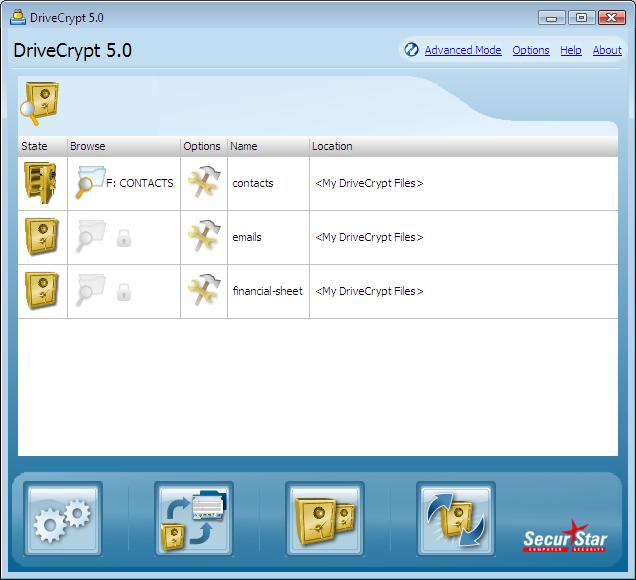 As data is read from the hard disk, DriveCrypt automatically decrypts the data before it is loaded into memory. When data is written back to the hard disk, it is automatically re-encrypted. The encryption/decryption process is completely transparent to the user or any application program - the data is caught "on-the-fly" as it transfers back and forth between the hard disk and memory. Consequently, users don't need to remember to decrypt or re-encrypt their data, or change the normal operation of the PC. In addition, only individual files are decrypted at any given time, not the whole hard disk.